Cut the grease and extra calories of deep fried donuts by baking them instead in Norpro's Nonstick Donut Pan. The pan makes 6 standard donuts that are 3.5 inches wide. 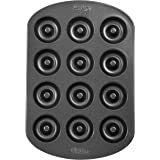 The durable nonstick coating helps ensure effortless food release and clean up a breeze. Recipes and instructions included. Hand washing recommended. I used a vanilla baked doughnut recipe from King Arthur Flour website and as you can see in the photo, it just came out of the oven, they are round on both sides! NO flat side. Let cool for about 5 minutes, I gave it a 1/4 twist and they slide right out. The bottom of the doughnut is darker than the top. 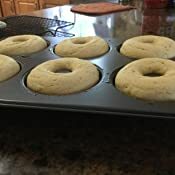 5.0 out of 5 starsAwesome way to make healthier donuts! 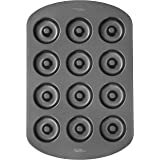 I bought one 6-donut pan and liked it so much that I ended up buying two, since most recipes call for 12 donuts. 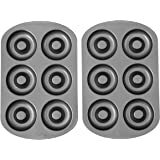 I am NOT a frequent baker at all, but these are so easy to use that I use them all the time. You can make almost muffin recipe in them as donuts instead, and then top them however you like. We use them at least once a week and the one I bought a year ago still looks new. The donuts come out perfect every time! I bought this pan with high hopes. 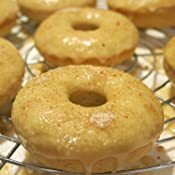 I'm a retired pastry chef and hoped to turn some of my past creations into baked donut confections. The non-stick-ness of this pan did not non-stick for me. I followed directions, tried several different recipes, used spray or butter, but never got good results. Maybe baked donuts aren't really a thing? 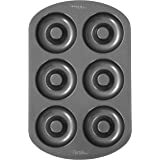 This pan does what it is supposed to do - BAKE DONUTS without any problems. 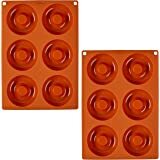 I do spray my baking pans regardless of their "non stick" proclamations because experience has taught me that not all surfaces are created equal. 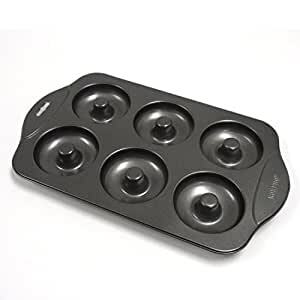 The only negative I have about this pan is that the one in the picture is not what was shipped to me. 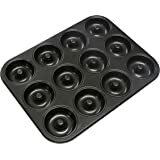 What I received was a 6 donut pan with extended "wings" or handles like on their Norpro Nonstick Petite Mini Donut Pan. 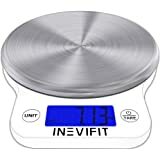 I was a bit bummed when I discovered this at about the time I had it filled and was going to put it into my Brevile toaster oven and it wouldn't fit......yikes! 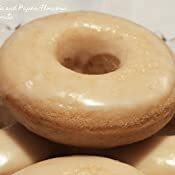 I did not want to heat a large oven for one pan of doughnuts so I managed, thankful I had sprayed the pan, with fingers to remove the donuts and place them in another doughnut pan I had and got the doughnuts baked! I'm not sure how you can control the substitutions of products when you think you are buying one thing and wind up with what amounts to exactly the same pan EXCEPT they have made it bigger! Return it I guess and try to order again. I had already thrown away the packaging, wrappers and run it through the dishwasher and theoretically it's still the same pan just a wee bit longer than what I thought I was buying....joke was on me! This pan is even better than I expected! I w it two weeks ago and have already used it twice. The donuts turned out prefect. It is super easy to use and even easier to clean. The only problem was that it only made six, so I bought a second one and now I have absolutely no complaints. I'm enjoying my "healthy" donuts. I chose this pan over the Norpro due to the positive comments. I followed another commenter's advice and heated the pan at 400 degrees F for about 15 minutes before using--as well as washing it first, of course. I had no problem with my first batch. The doughnuts did not pop out when I turned the pan over, but they easily came out when I started to run a rubber spatula around them--perfect condition. The only odd part is that the undersides (the part that sits in the pan) do not look like doughnuts. They look more like little cups on that side. It's actually quite versatile, once you get used to the difference--you could fill the depression with jam, berries, whipped cream. So, depending on how you place them on a plate, you can have doughnuts or dessert cups (albeit dessert cups with very small inner cavities!). Good size for portion control but in my experience takes longer to bake in than included recipes indicate — says 6 minutes at 350º but in my electric range the mini donuts took closer to 10 minutes before a knife came out clean. I slightly overfill the pans so that instead of a hole in the center there is just a deep depression that I can later fill with glazed fruit, yum! 5.0 out of 5 starsDunkin my homemade donuts! 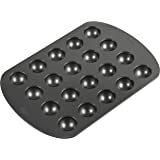 After reading several different sights that the Norpro was the better donut pan I purchased it. 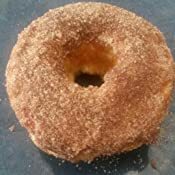 I have never made donuts before so my first was cider donuts and well when they came out of the oven they did not look like donuts at all. No hole in the middle they were really puffy but they did not stick. I had rubbed just a little bit of butter left from the packaging around each donut ring and that was good enough for these babies to just slip right out. But remember even though it does not look like that much batter just fill it 1/3 of the way up. I did that for my second round and they were perfectly shaped donuts. I put them right into a bag of cinnamon and sugar and gave them a nice coating and before I knew it they were gone. Clean up was pretty easy. You can either stick it in the dishwasher or just take a quick soapy sponge to each ring, rinse, and let dry. Easy to clean, sturdy, and priced nice.